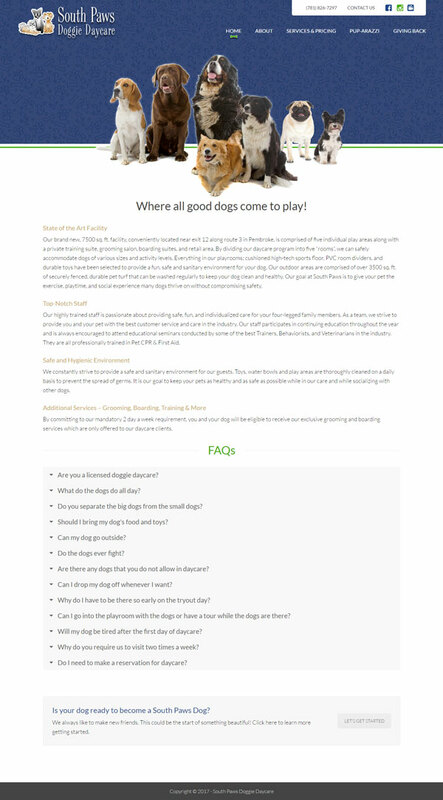 In early 2017, South Paws Doggie Daycare was growing. A modern new facility for clients was also an opportunity to update image and branding for a new phase of growth. 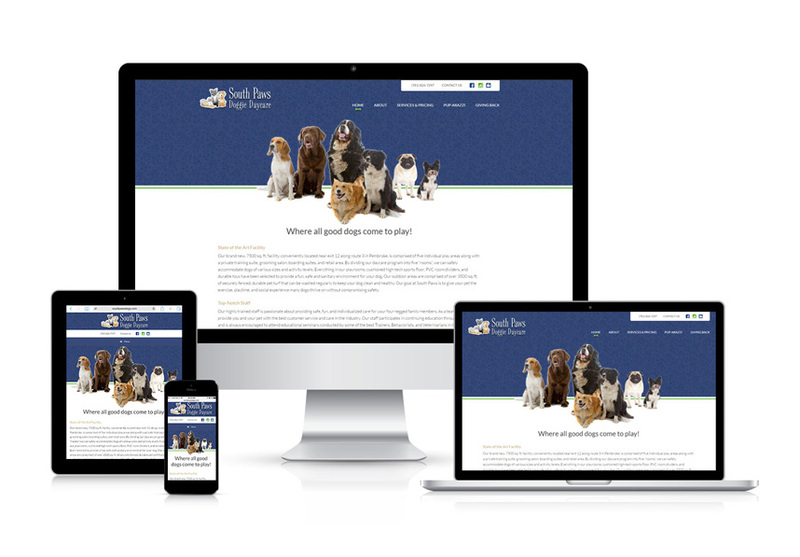 Mica Web Design took the time to understand the business as it is today and where it’s going, and delivered a site design that sets the foundation for the continued growth of a dynamic — and very happy — canine-focused business.